Many homesteaders are crafty by nature. They can take twigs and make a beautiful garden bed, or entwine some rattan and lace and make gorgeous tablecloths or even their own gloves and mittens in the winter. I personally am missing that Martha Stewart DNA in my blood, so crafting is not something I do on a regular basis. However, I am working on moving outside my comfort zone to correct that. So, if you are not crafty, but want to decorate your house for fall or Halloween, you would go to Walmart and grab some craft pumpkins, a large pumpkin, paintbrushes and acrylic paints and spend $20. You would then line your table with some old cardboard or newspaper to catch any drips from the paint. Then, you would paint smiley faces on each of the pumpkins and have a fun little family. Of course, you would let the paint dry for about 5 minutes before handling the pumpkins, because that’s all it needs. There isn’t any need for another coat over the acrylic paint or anything, so this would be a quick craft. That being said, you would probably get bored quickly as this craft only took about 10 minutes to do start to finish. So, if you are like me, you would create a whole story about them. 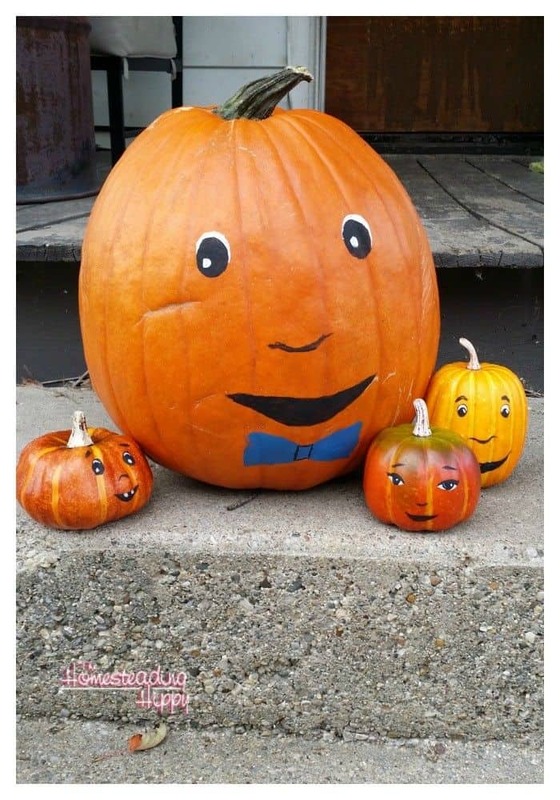 So, meet Paul Pumpkin and his children, Patrick, Patrice, and Kevin. Paul is a loving father of 3 wonderful gourds. He works hard to raise them right, and make sure they are well behaved children. He spends a lot of time with them when he’s not working, just having lots of quality fun. Here they are getting ready to head to the park. Notice he made sure they have their seatbelt on. I do have to point out that these little gourds are not nearly as safe as their cousin from The Pistachio Project was, however. 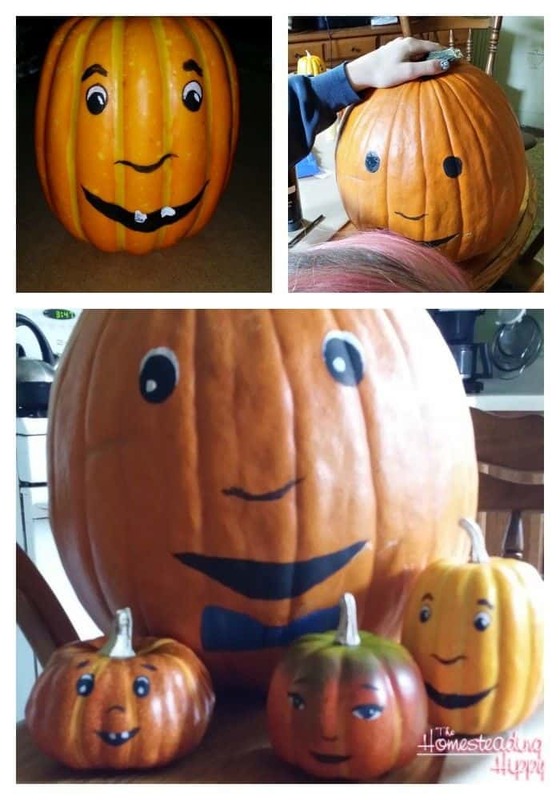 And we thank Jedidiah Pumpkin (and Brittany) for sharing this wonderful “selfie” with us. Paul does try though. Paul took his children to the park this fine fall day, and they played hard on the swings, the slide, and even spent some time playing in the fall leaves. Of course, after a while, you would get bored of your painted pumpkins and with the whole town wondering just what on earth you are up to, you would get some ingredients together. And, you would have very sad children, thinking that their father was gone. But, then, Paul would come home from work and they would know that you just used a can of pumpkin from the grocery store. And everything would be all good again! Until they realized that the can of pumpkin you used could have come from their great aunt Pinkie Pumpkin, but that’s getting a bit morbid for a family friendly site, doncha think? Are you wanting to throw a fall or halloween get together? Stop by Walmart and check out the new Farm Rich Smokehouse line. Whether you’re the party hostess or just a guest needing to bring a dish, this heat and serve line up is perfect for any get together. They are priced just right at $6.97, and they have several varieties to satisfy even the pickiest eater. I’m heading to my local store later this month to try these products out in person. I’m going to also develop a fun recipe and party idea that you can look forward to! Love painting pumpkins instead of carving. I’m always scared of carving with small children. Your story was too cute! ADORABLE!!! 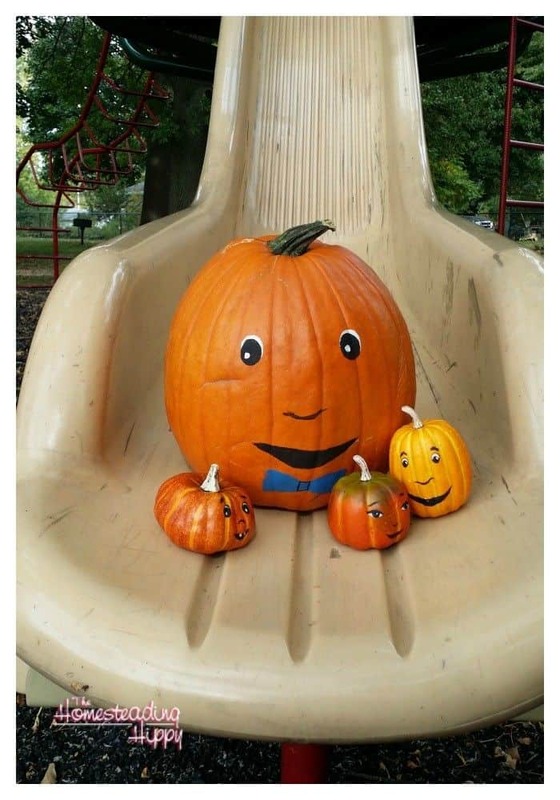 Love that the pumpkin family took a trip to the park. This is seriously one of the cutest posts! The pie looks delicious too! Thanks for sharing! LOL this made me giggle. Love the pumpkins looking at the pie. Our family loves pumpkin pie! Oh my word this is HILARIOUS! lol Great post!! Oh I love painting pumpkins. You can be super creative and they last all month long!! I can’t carve a pumpkin at all, even with stencils! Painted is more my style. Love them all! The faces at the end are too funny! These came out great! I love the idea of painting them instead of carving! So much less messy! We’ve always only done carving, but you make painted ones look really cute! A lot less mess, too – might have to give them a try. We painted pumpkins this year as well! So much easier to do with little ones rather than carving them. I was sad to miss out on that part but the boys had a much better time painting them with their little hands. 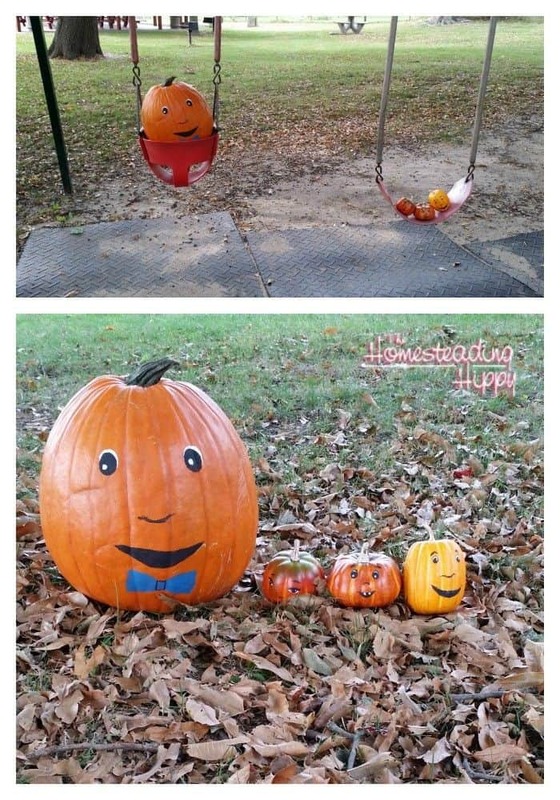 I love how your pumpkins did all these fun adventures with the family! Oh my goodness, that is adorable! 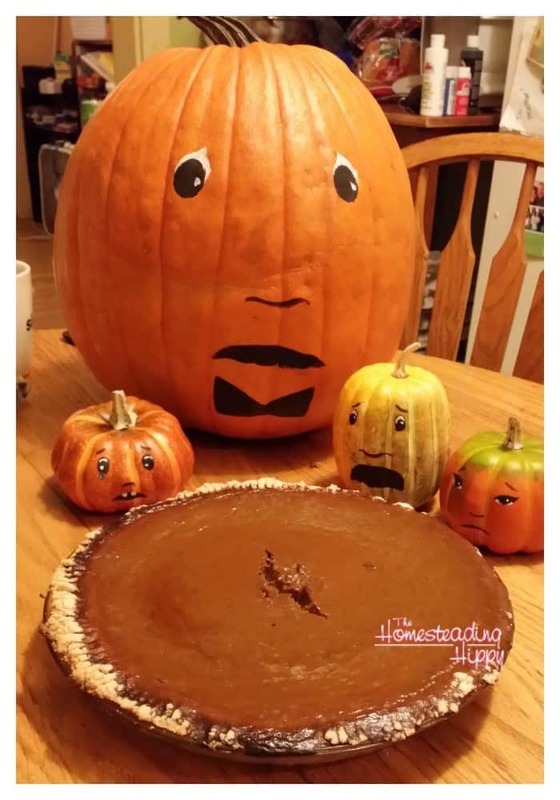 I love the worried faces on the other side with the pumpkin pie. Too cute!! I love it – Paul, Patrick, Patrice, and Kevin! Ha! We used to carve pumpkins, but when the kids were little, we found it much more fun to let them paint them as they couldn’t help too much with the carving. Such a fun post – made me smile. 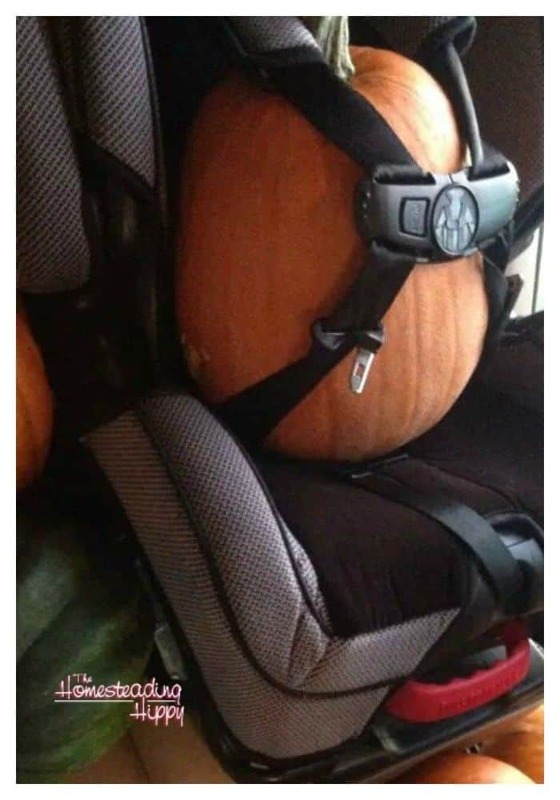 Love the pumpkin story. We also paint instead of carving. 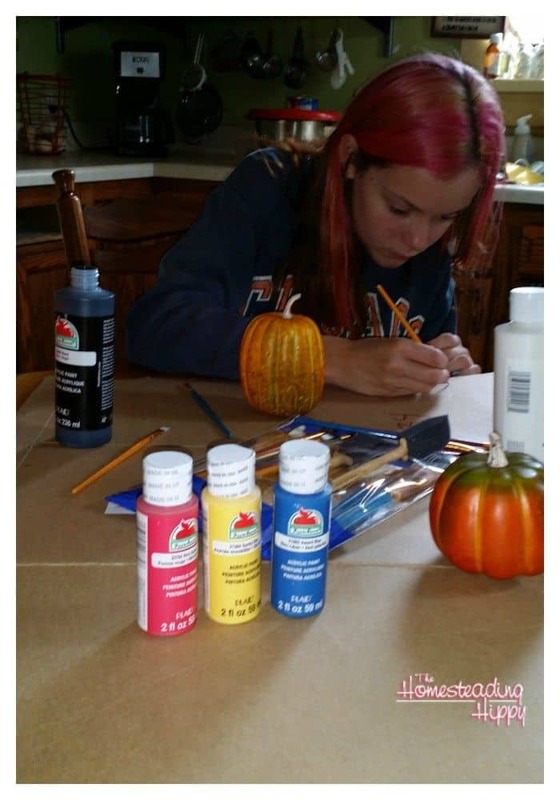 I love the idea of painting pumpkins because it allows kids to display their creative juices. The adults always have to do the carving so this allows them to take ownership of their creation. Fantastic to match pumpkin pie with a fun, family, fabulous event! My son was cracking up at the pumpkins on the swing and the slides! 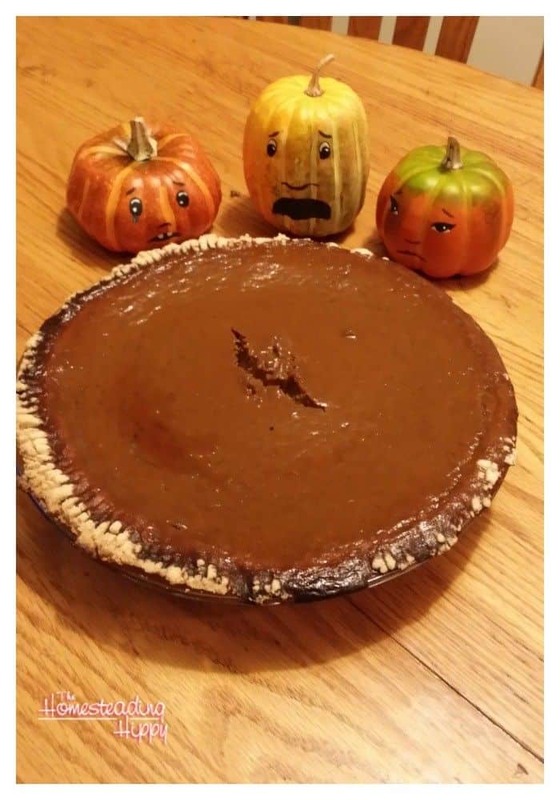 I find the sad pumpkins looking at the pumpkin pie hilarious! Oh that is just the cutest post ever! Paul is a great dad, his little gourds are lucky to have him! 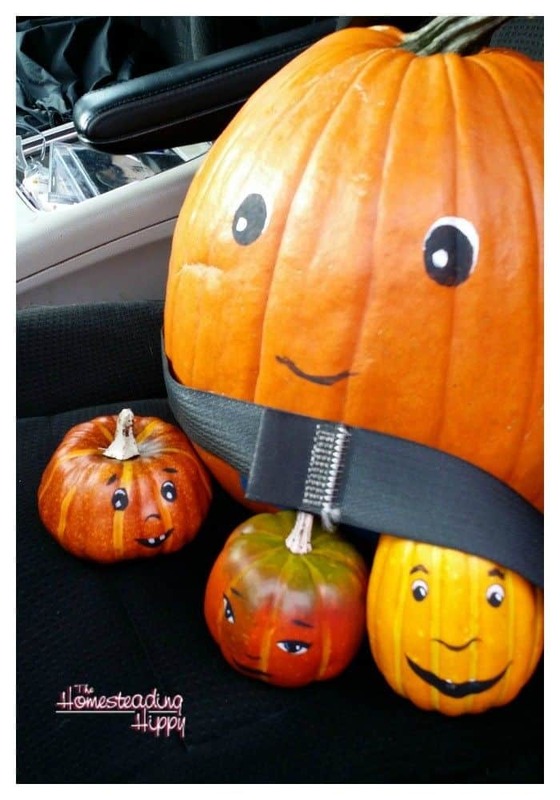 Almost makes me want a pumpkin family too. I’d have to have your daughter paint them though, cuz she just rocks the whole art thing. Totally! I love love love this post and all the photos!!! 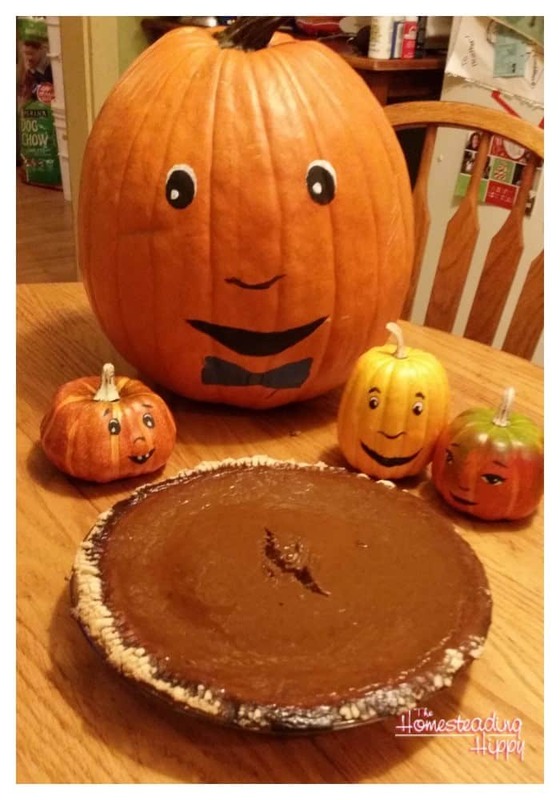 Love the Pumpkin “family photos”, but the ones of them looking at the pie just topped it. HILARIOUS!!!! !